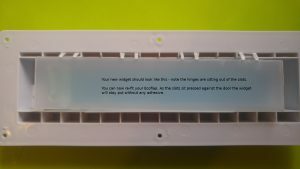 Sometimes a widget needs replacing. 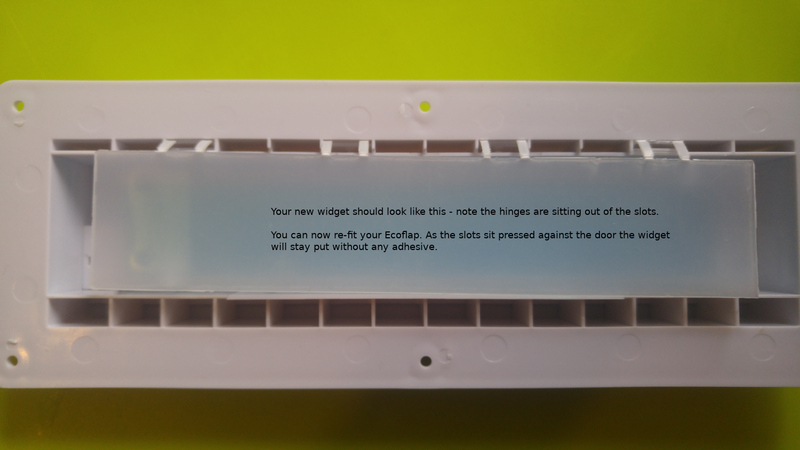 If your Ecoflap has been in use for several years, or if it has been fitted to a letterbox bigger than the Ecoflap or fitted a little misaligned, the widget can become damaged or the hinge part may wear out. Fortunately this is easily fixed. 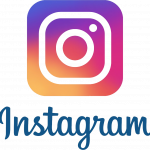 Please contact us with your original order number, your address (including the original despatch address if different) and include a photo of your damaged widget. 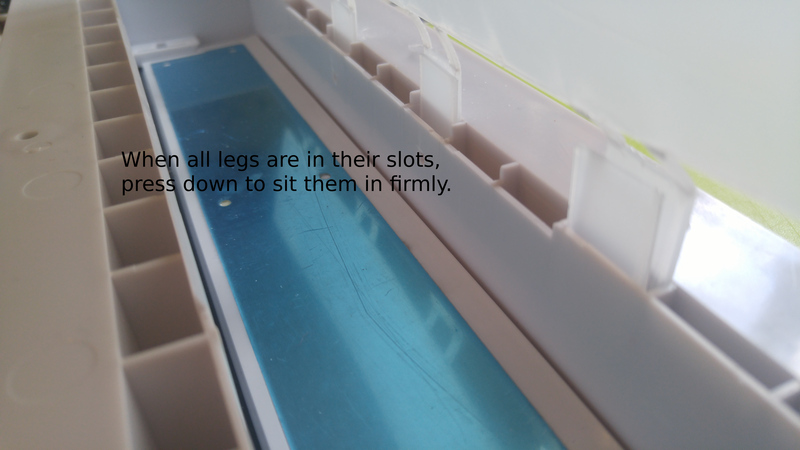 Ensure the hinges are free of the slots. 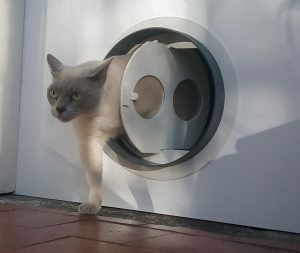 The Ecoflap can then be re-attached to the door. 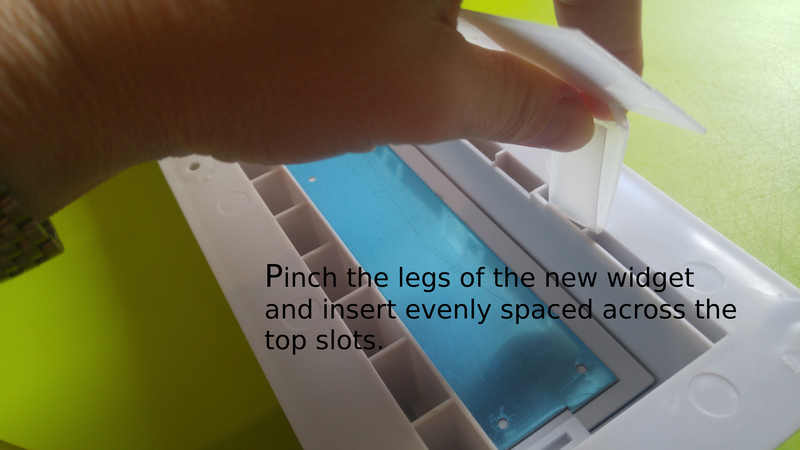 There’s no need for adhesive as the slots are sitting against the door, which holds the widget in place.